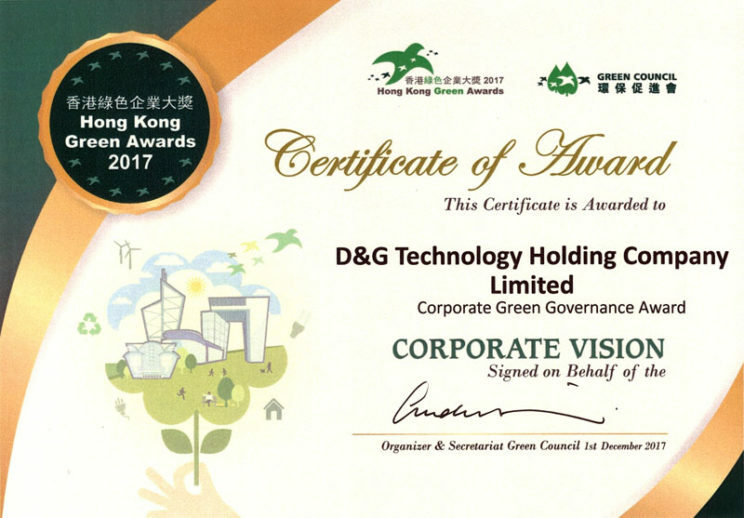 D&G Technology was firstly awarded the “Hong Kong Green Awards” – “Corporate Green Governance Award” in 2016. 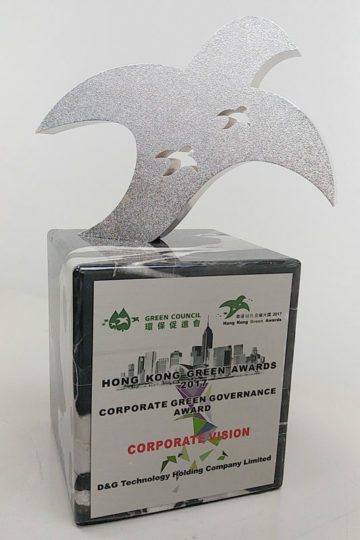 It won “Corporate Green Governance Award – Corporate Vision” award this year. The awards ceremony was held on 1 December 2017. 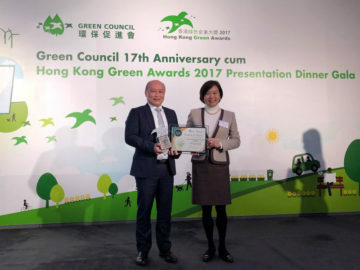 The "Hong Kong Green Awards" is an awarding event organized by the Green Council to encourage local enterprises to incorporate environmental considerations, environmental responsibility and environmental management systems into their operations and to recognize their continued improvement and leadership performance. The Corporate Green Governance Award recognizes the commitment of large enterprises in the five areas of leadership, mission, management systems, environmental monitoring and reporting, and stakeholders, as well as their integration of environmental considerations into daily operations. . This "Corporate Green Governance Award" has been reaffirmed by D&G Technology's commitment to green governance. Looking ahead, the Group will continue to incorporate environmental, safety and health considerations in decision-making, accountability, management, performance, sustainability and leadership in the operation. We will strive to build a positive image, continue to strengthen green governance and become exemplary Green enterprise. Certificate of "Corporate Green Governance Award - Corporate Vision"
Trophy of "Corporate Green Governance Award - Corporate Vision"